U.F. 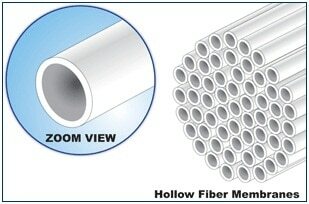 or Ultra Filtration membranes produce .1 micron quality water suitable for most applications. While flow rates are lower than our FilterJet and other RECLAIM systems the quality is good enough to feed Reverse Osmosis and other devices without fouling. Systems from one to six gallons per minute. Please call a product specialist to help size a system that will best suit your needs.